You know those paper-thin iPhone cases everyone loves? Well they’re finally in stock on Amazon for the brand new iPhone XR. Apple’s third new iPhone model of 2018 went up for pre-order this past Friday and it’s set to be released this coming Friday, October 26th. 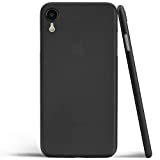 If you plan to get one and you want to keep it scratch-free without ruining Apple’s sleek design with a bulky case, the Totallee Ultra-Thin iPhone XR Case is definitely the way to go. 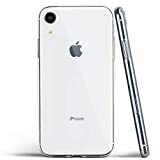 If you want to get a crystal clear case that’s almost as thin, Amazon also has the new Totallee Crystal Clear iPhone XR Case in stock now.